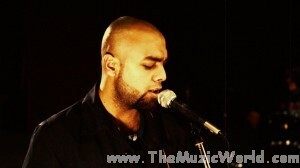 AAG was formed in the summer of 2005 when Haroon Sheikh paired with Nabeel Hussain, sharing a common musical vision. Usman Sheikh joined the band soon after. Sharing an appreciation of Eastern and Western Classical music, along with both Neo-classical/Progressive Rock, the band wished to compose songs in which moving melodies were expressed, along with each members’ technical abilities in their instruments. This along with hard hitting, often times controversial lyrics moulded the band’s sound to a versatile style, also combining elements of Jazz/Fusion and Pop music progressions. Because of their songwriting prowess, AAG was selected to represent Pakistan in the Azme Ali Shan National Song Competition – one of the central events of the Azme Ali Shan Initiative. Their sound has gained praises from renowned members of the music industry, such as Strings and Fuzon, and was described as, “…earthy and rustic combining with a modern pop element…”. The band aspires to create an original sound, the like thereof has never been witnessed before. To download the song AAG by AAG THE BAND, 'RIGHT CLICK' and 'SAVE TARGET AS' on the given links. To listen the songs, click on the blue coloured 'PLAY' button.